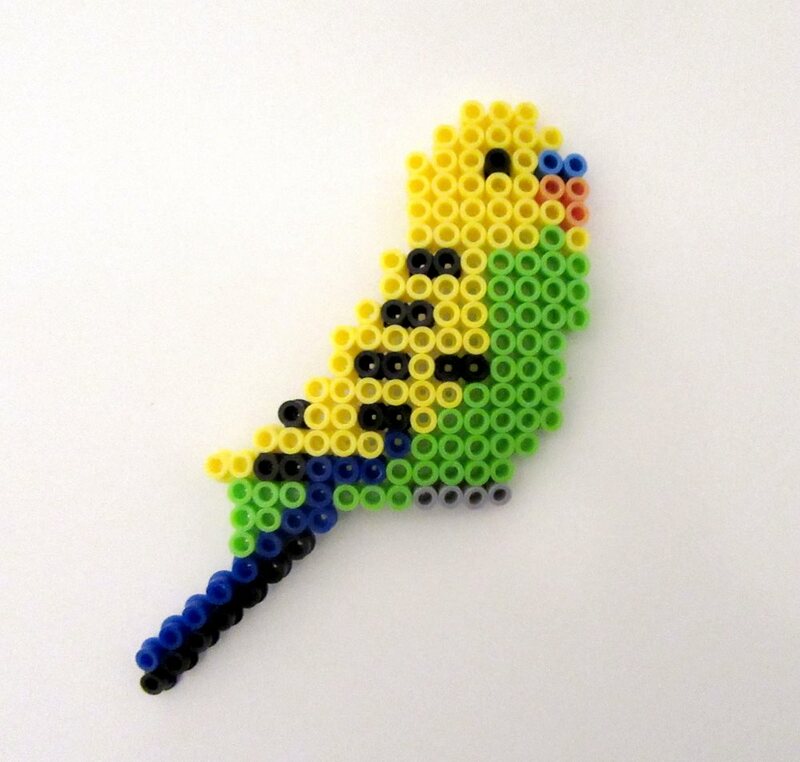 Posted on February 27, 2018 by Michelle M.
Posted on February 26, 2018 by Michelle M.
The kids in my class are all about perler beads. 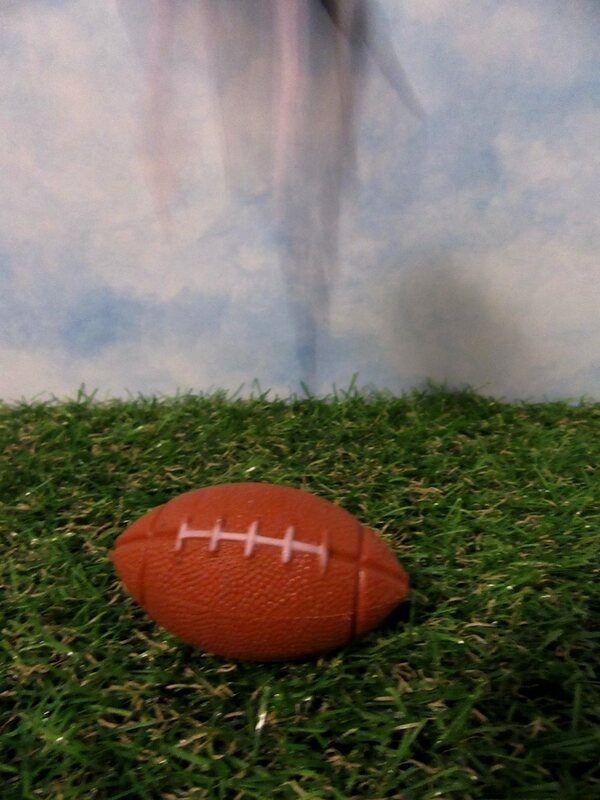 So I decided to see what all the fuss was about. 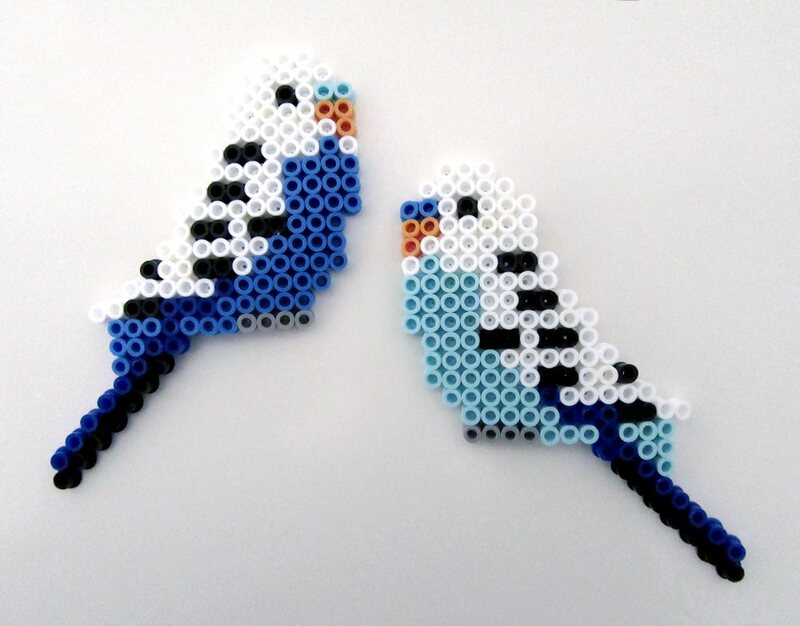 I had fun making Cooper and Dewey. 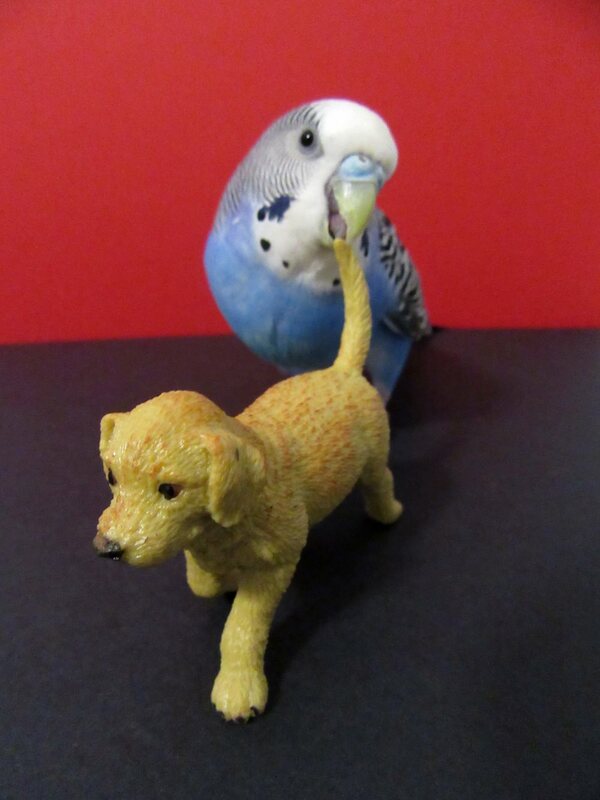 And who knows… maybe someday a greenie will join the flock. 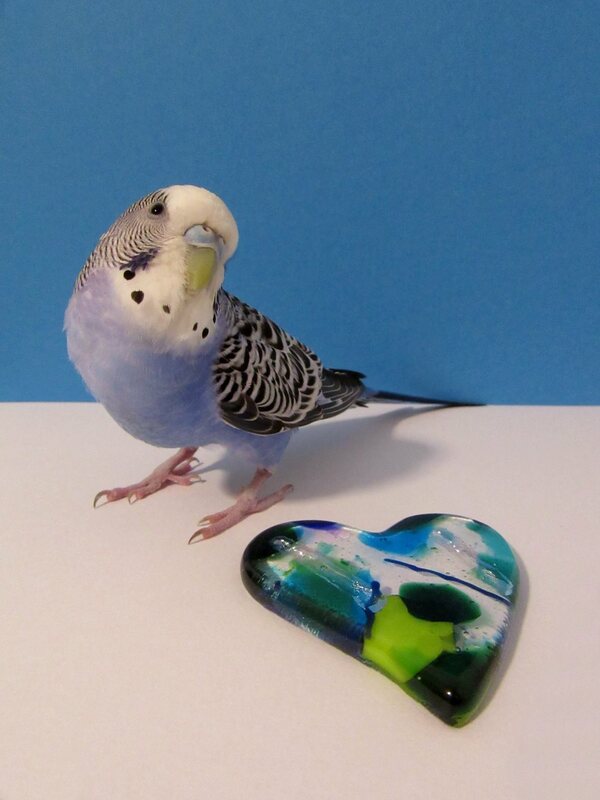 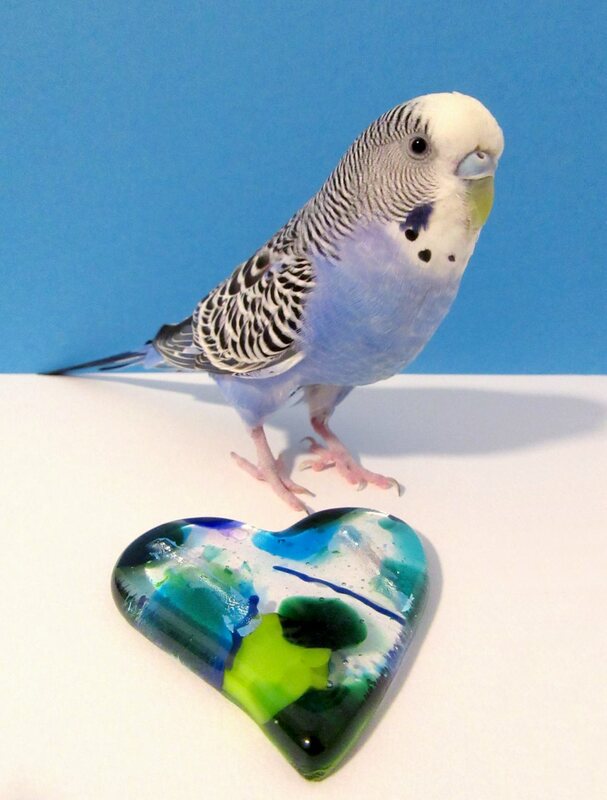 Posted on February 24, 2018 by Michelle M.
Posted on February 23, 2018 by Michelle M.
Pink Budgie Pin by PuppyCatPet on Etsy. 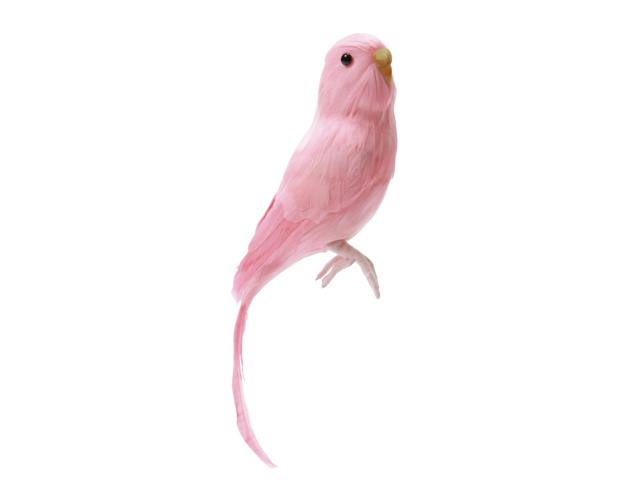 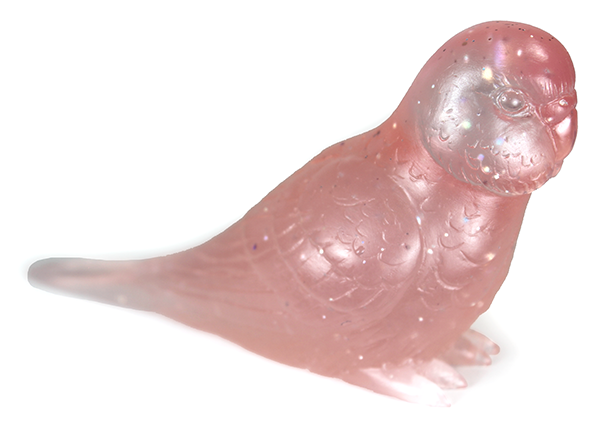 Pink Glitter Budgie by Emily Sculpts. 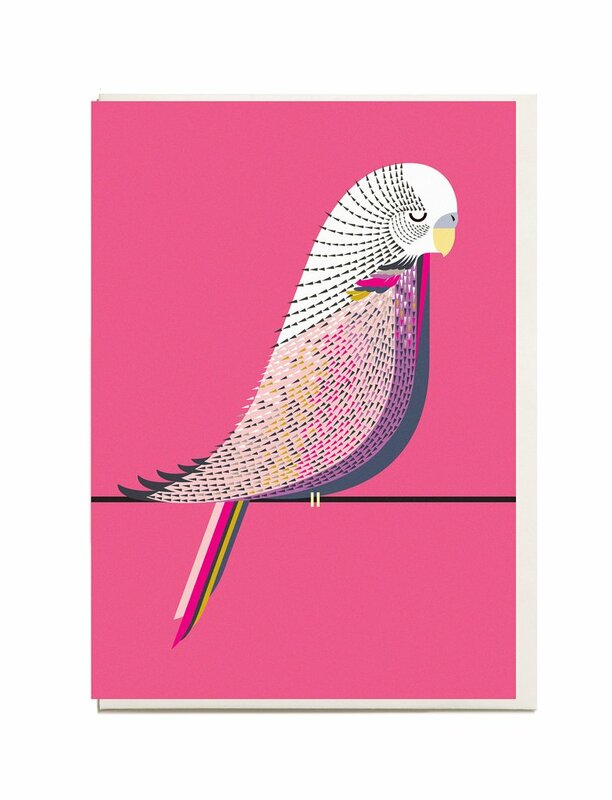 Budgie print by Dan Hobday Art on Etsy. 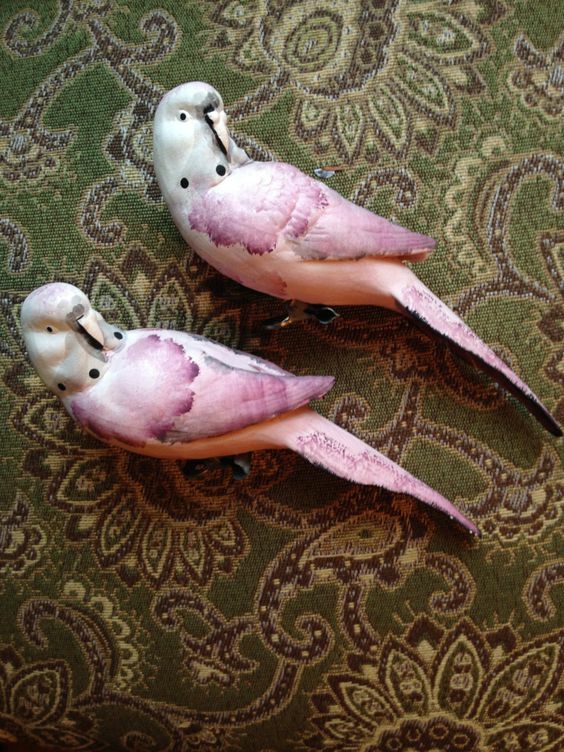 Vintage pink budgies – DuckCedar on Etsy. 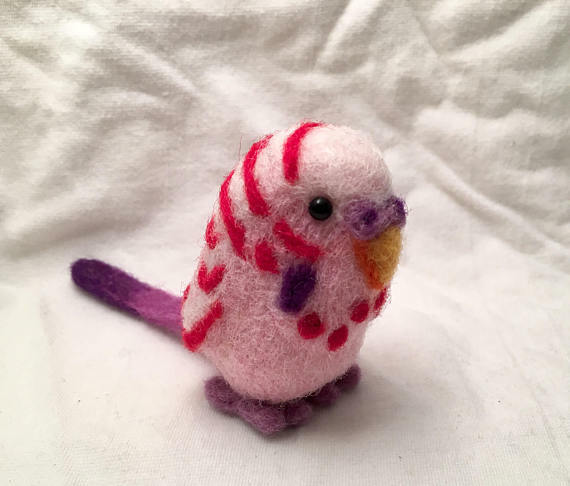 Pink felt budgie by Feltbiologi on Etsy. 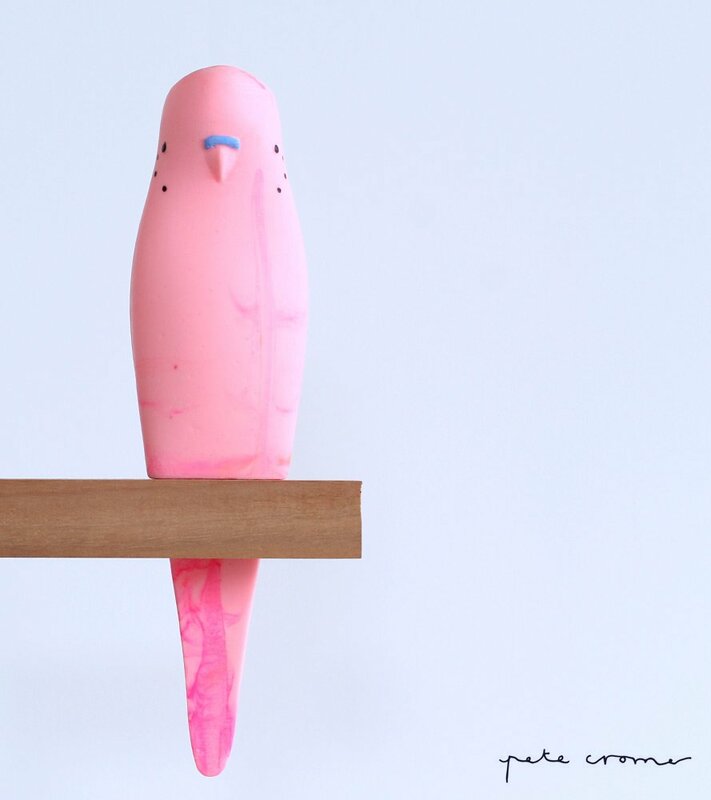 Posted on February 22, 2018 by Michelle M.
Babadook lives in the United States with Hannah. 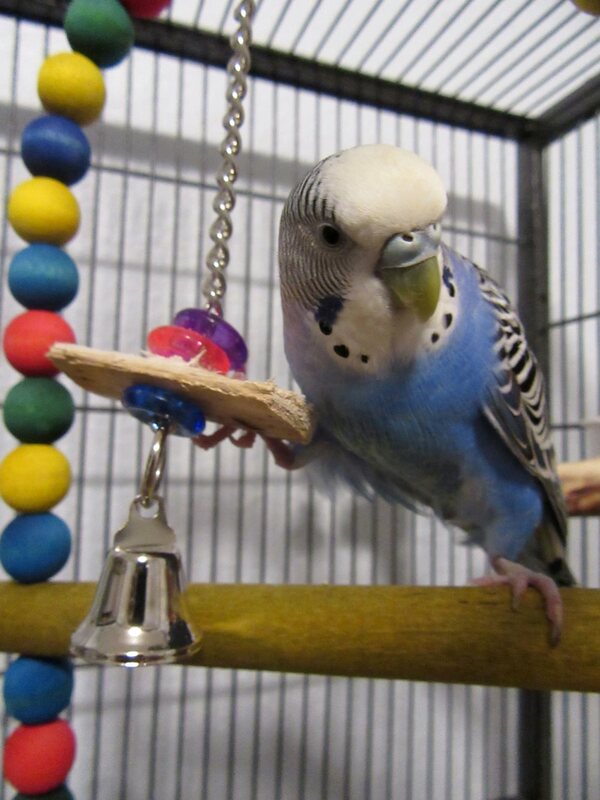 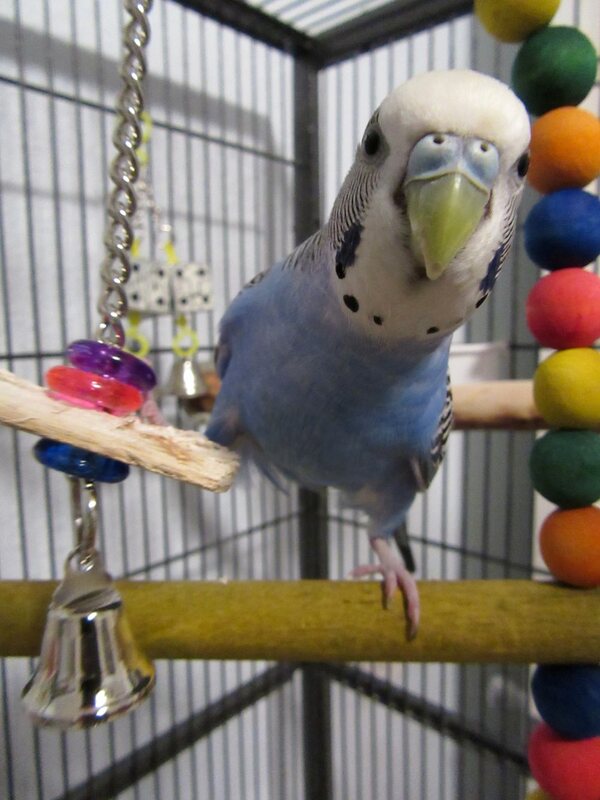 Baba loves his bell toys, particularly grabbing them with his beak and swinging them around. 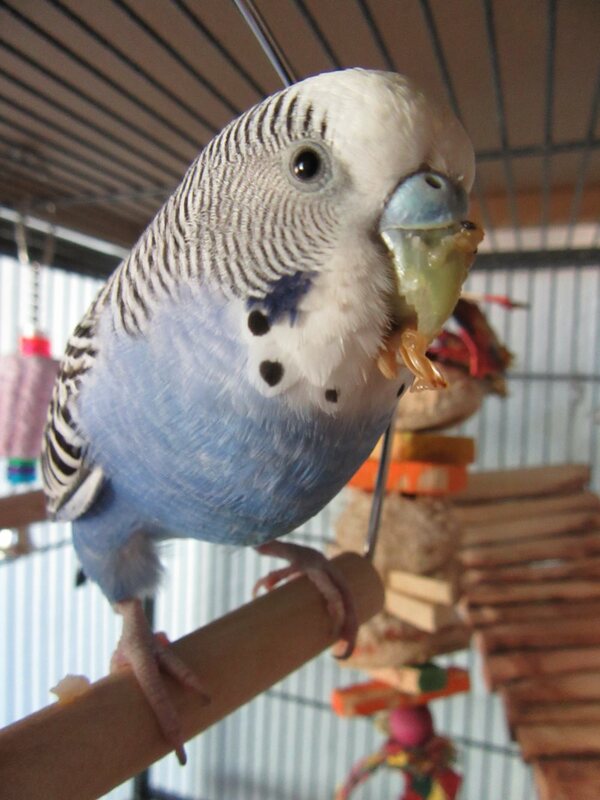 He also likes to make funny noises into his food dish. 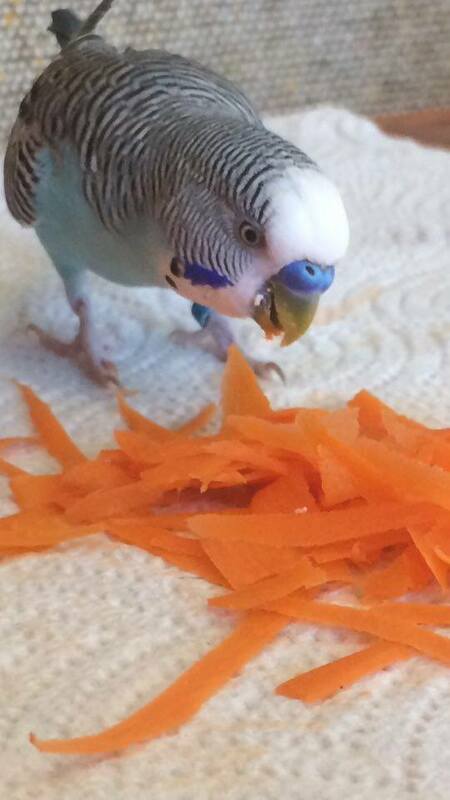 He’ll always go for a sprig or two of millet, but his secret weakness is baby carrots. 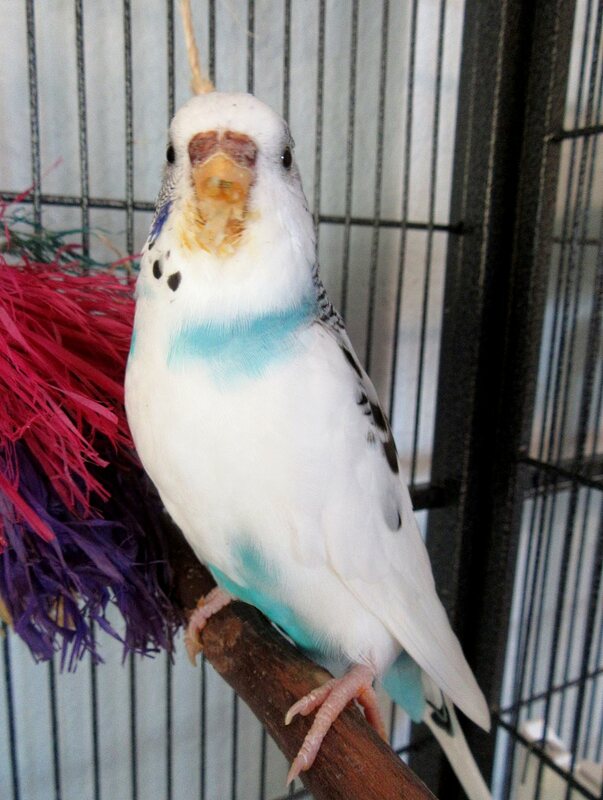 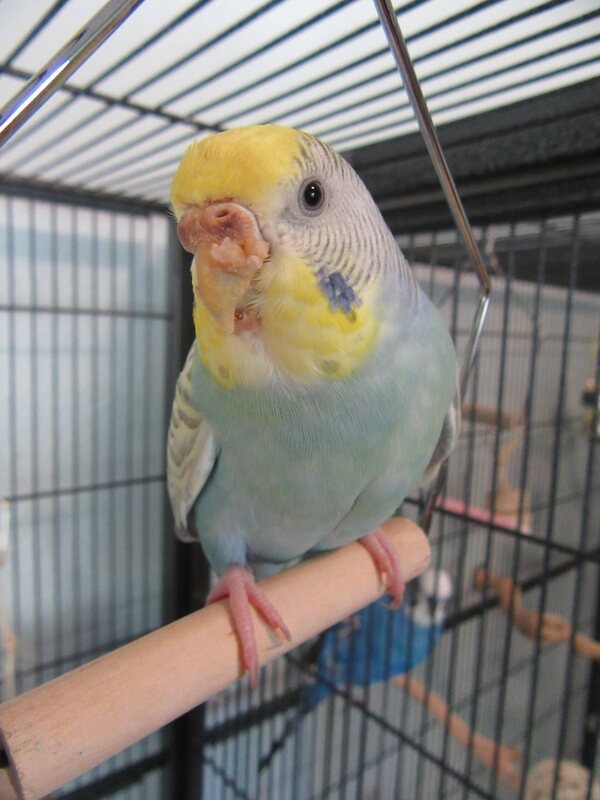 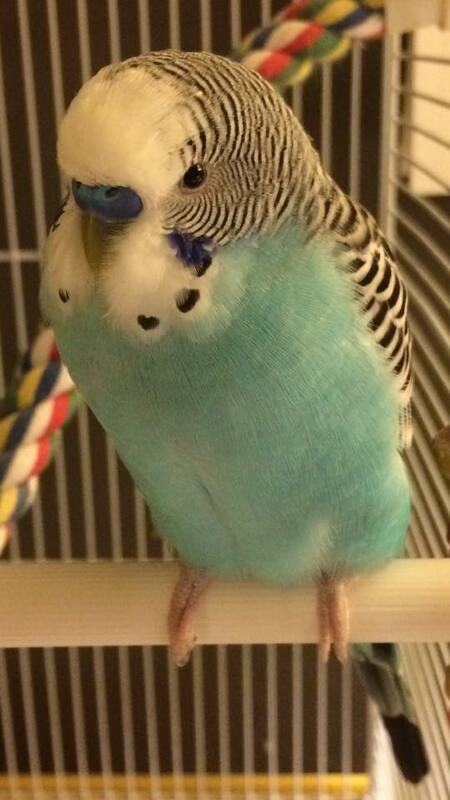 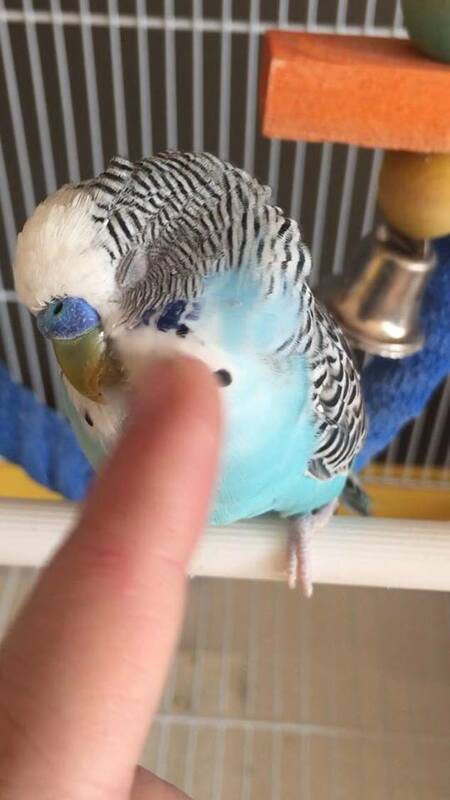 You can see more photos (and videos) of Baba on his facebook page, Babadook the Budgie. 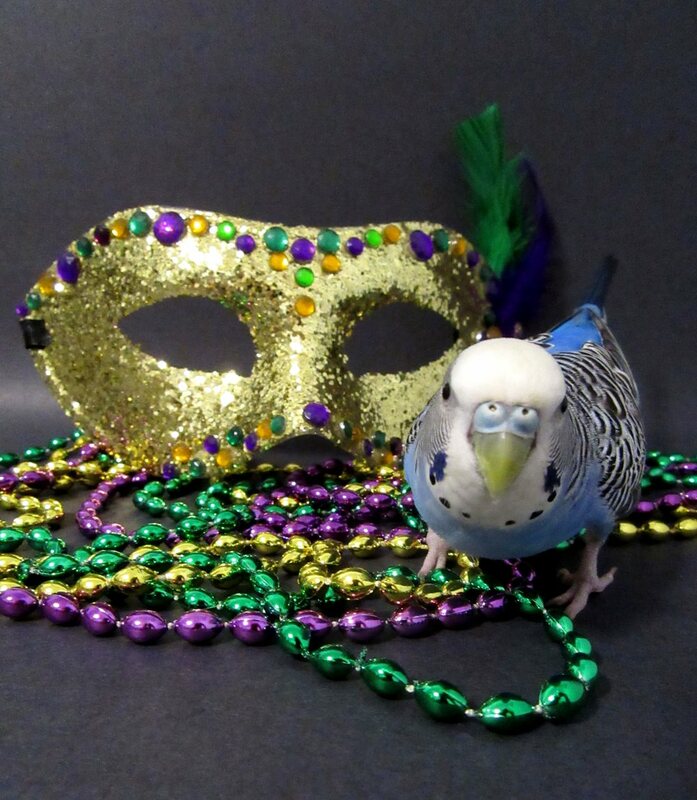 Posted on February 21, 2018 by Michelle M.
This month’s book is The Mermaid and The Parakeet by Veronique Massenot. 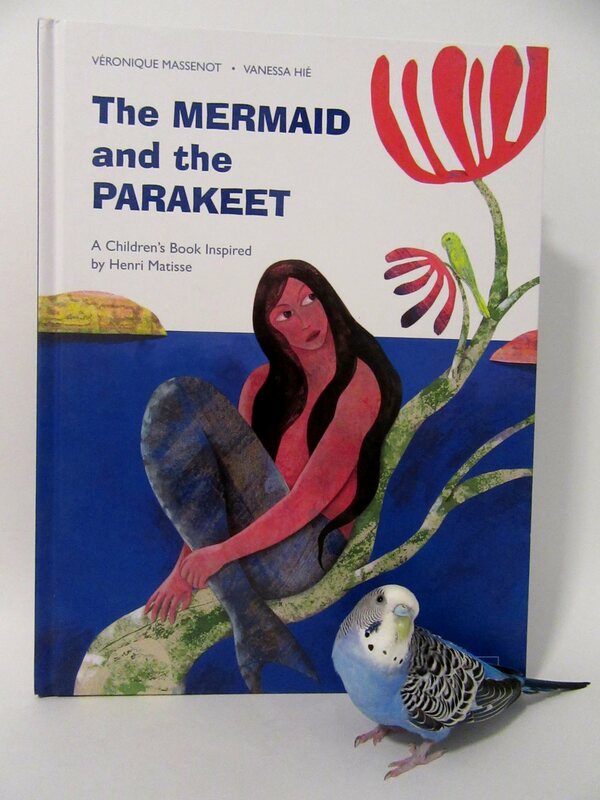 The Mermaid and the Parakeet is a story inspired by a painting by Henri Matisse (The Parakeet and the Mermaid). 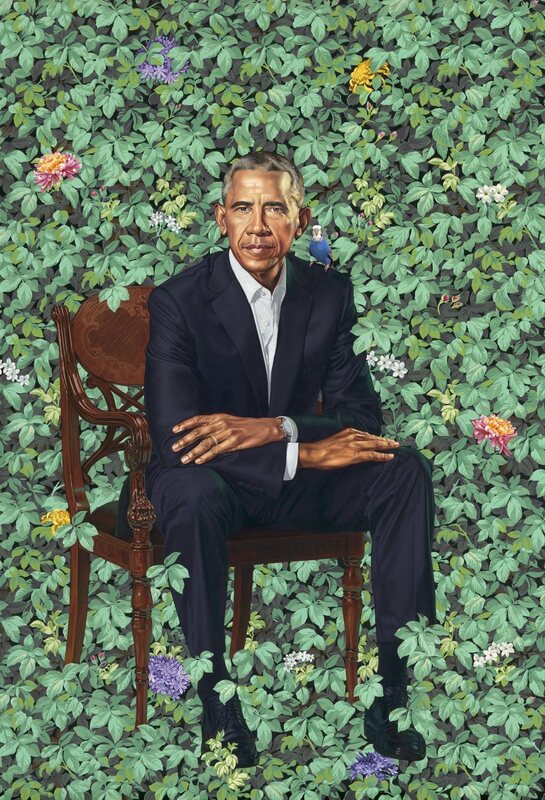 A beautiful mermaid is stranded high in a tree by a storm. 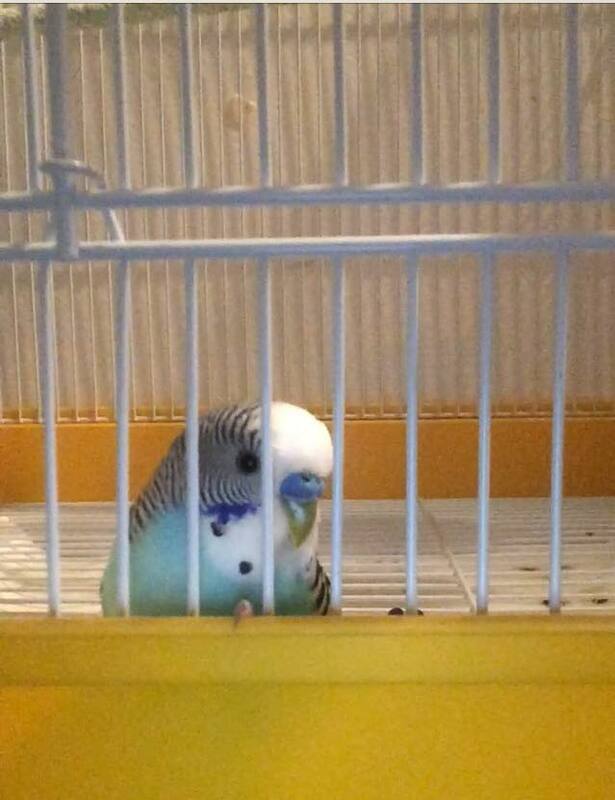 Without the water, she will not be able to survive. 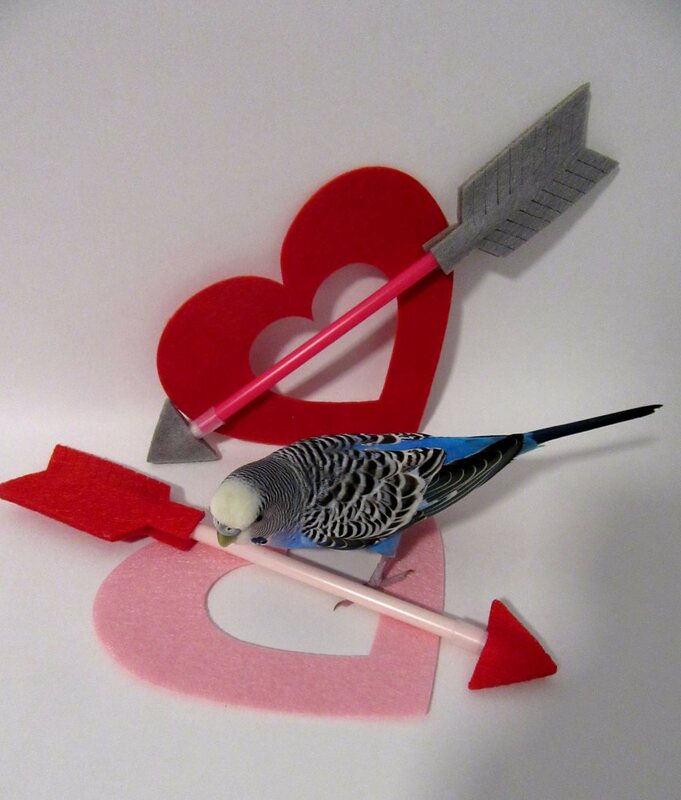 Luckily, the Prince of the Parakeets wishes to help her. 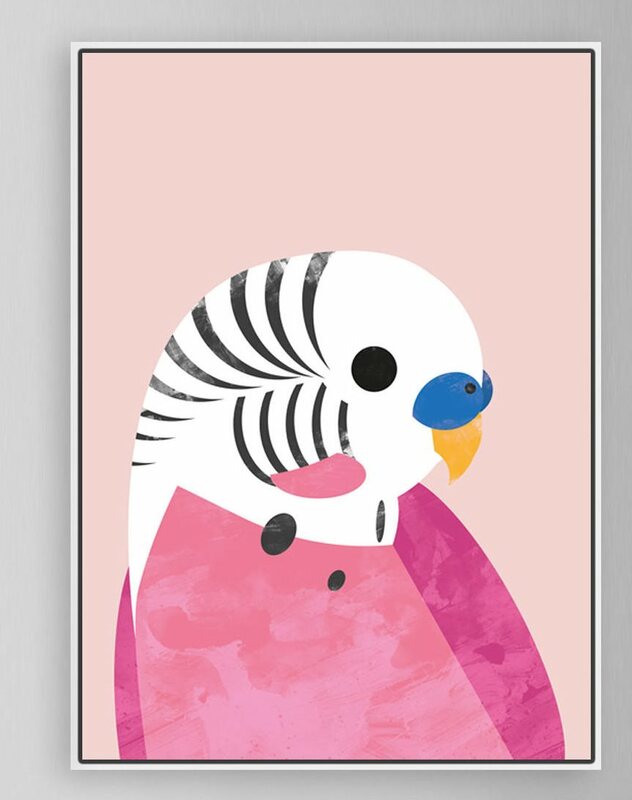 But how will a tiny bird be able to carry a mermaid down a tree? 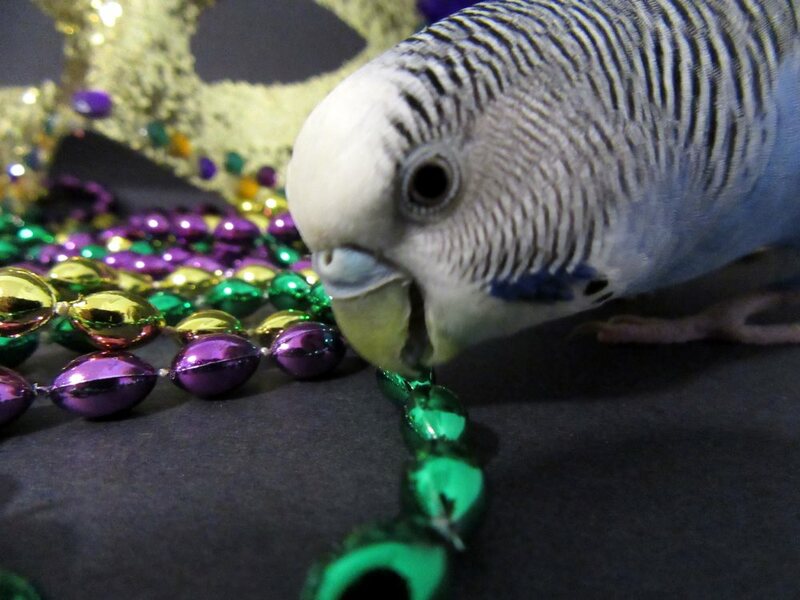 Cooper adored this story. 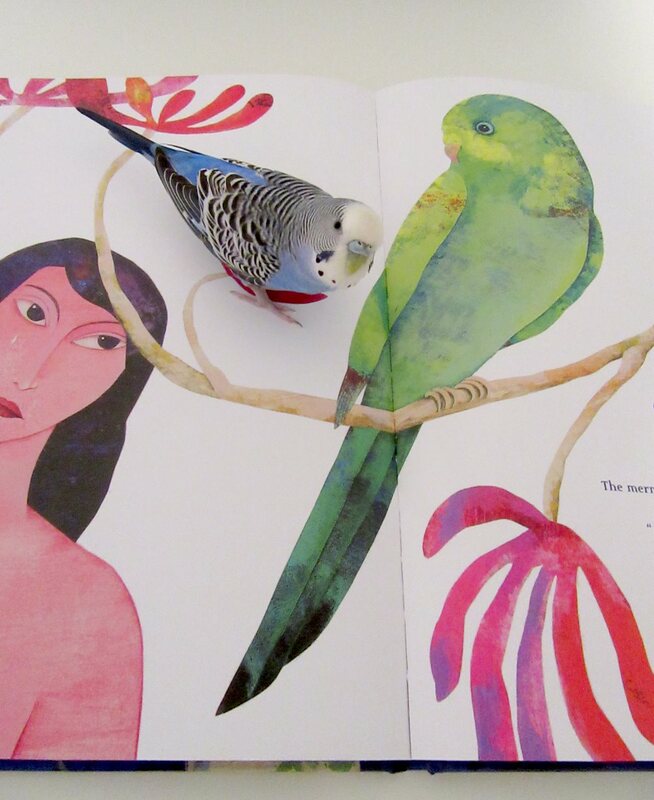 She loved the colorful illustrations (by Vanessa Hie) and the happy ending. 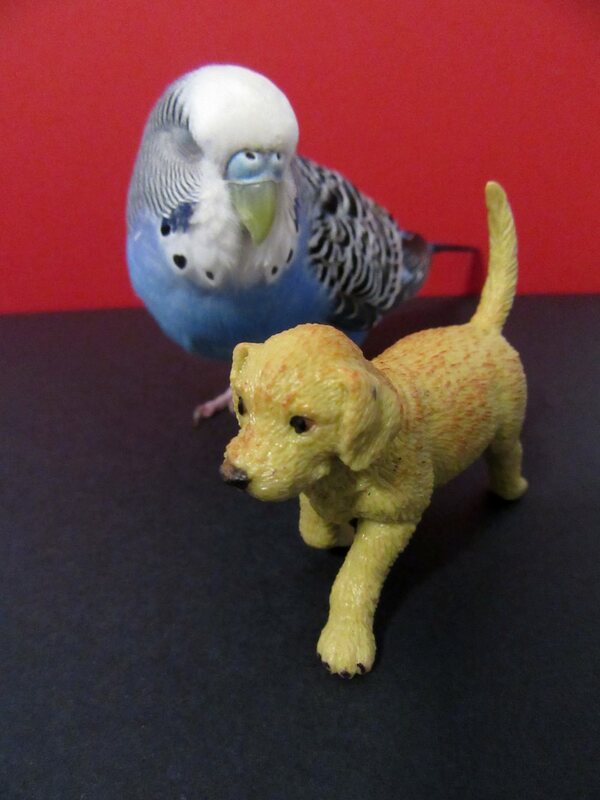 Cooper also liked that it was a parakeet who saved the day by rescuing the mermaid. 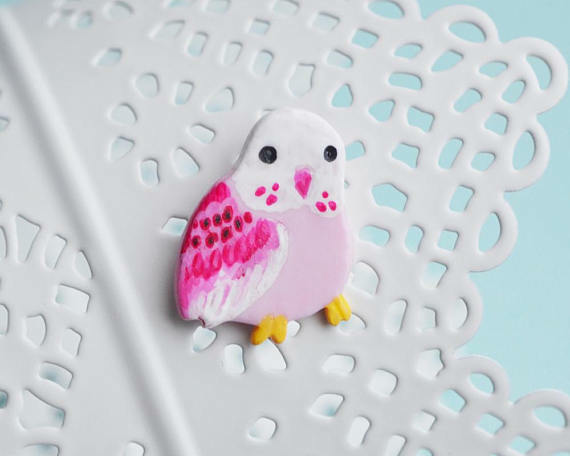 At the end of the book there is information about Henri Matisse, the illustrations in the book and creative process that went into making it. 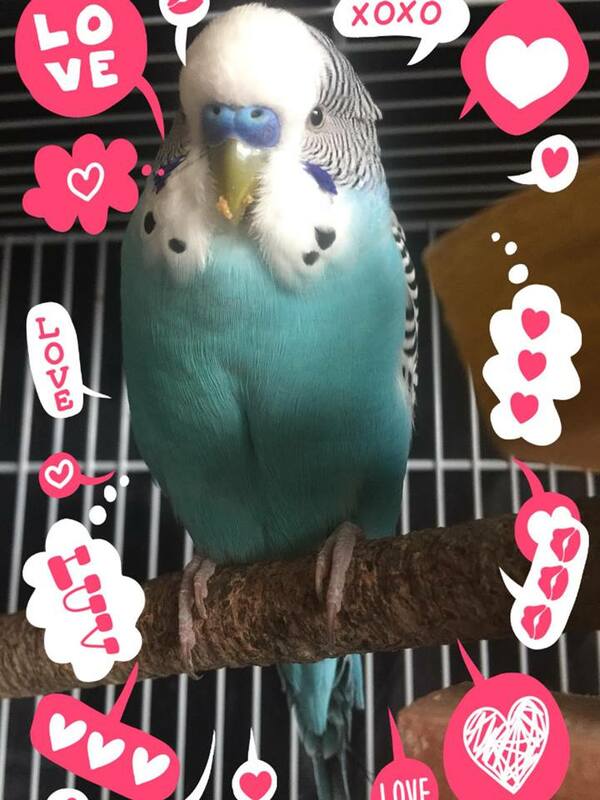 Posted on February 20, 2018 by Michelle M.
Posted on February 19, 2018 by Michelle M.